I am a DIVER and I want to register for an upcoming meet. How do I do that? 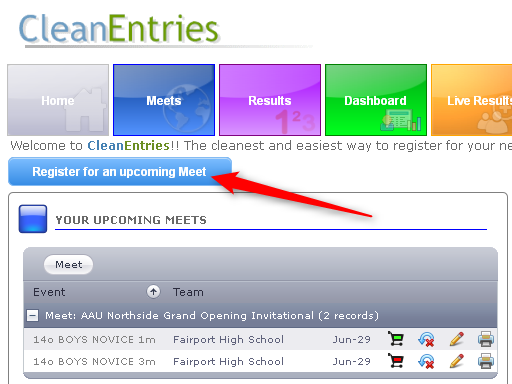 In order to register for an upcoming meet you need to run the registration wizard. The registration wizard is available from your Dashboard. From your Dashboard just click the button 'Register for an upcoming meet'. The wizard will take you thru the registration process step by step.